Welcome to the outraged world of tow truck services. We are Towing Van Nuys, and we would like to show our costumers what’s tow service in the city of Van Nuys and Panorama city all about. If you get stuck on the 405 freeway or just forgot to close the car lights and the car isn’t starting, the first thing to do is to Google a good and established towing company. The next step is to read the reviews the company has. Depends on your vehicle you can ask for a Flatbed or a Wheel lift. Both are towing trucks, but the Flatbed has a bed attached to top, and the wheel lift is a tow truck that lifts your front or rear side of the car and the other side just become neutral. We are towing Van Nuys, and we would love to get your business. We tow vehicles, RV`s, buses, limos since 1998. And all our tow truck drivers are available 24 hours a day seven days a week in assisting you at any street or freeway around the Van Nuys area. We also specialize in roadside assistance within the area we cover. Give us a call and our phone operators will provide you with a quote and an ETA for the tow service that needs to be provided. Van Nuys tow truck services Call today! Cheap Towing Van Nuys has trained Employees in accordance with the standards that we provide in our tow truck and roadside services. We also focus on professionalism to our customers and providing the best service while regulating the safety of the on hooked vehicle. We also provide a medium and heavy duty towing services. Now ask yourself what is a heavy duty tow service? Well, if a vehicle likes a bus, trailer, big ford e250, RV, mobile homes, minibuses, and all Trucks that exceed the limit of a regular flatbed or wheel lift. Our heavy duty department has a fleet of 10 heavy duty trucks, and you can count on Van Nuys Towing on delivering quality tow service results when you call us . When you call us, you can be sure that you’re class A services all the way to your preferred destination all around the city of Van Nuys and Panorama city. Have you ever seen an accident in the middle of the freeway and thought to yourself how do they clean up the mess? Motorcycle towing service in Van Nuys have all the answers for you! When an accident accrues Van Nuys towing service will arrive at the crash scene and interact with the police officer and the owner of the damaged vehicle. Then we will send a different team that’s called the cleanup recovery team. Their job is the clean up the scene and make sure to make a report of the damage vehicles around the scene. The next step is to tow the damaged vehicle to the tow yard of Towing Van Nuys. And then the insurance companies send an adjuster and the adjuster informs of the damage. Tow service companies in Van Nuys have performed hundreds of accidents, and you can rest assure that Towing Van Nuys is your top quality towing service provider. 91404, 91407, 91408, 91409, 91410, 91411, 91405, 91406, 91411, 91482, 91499, 91470, 91496. 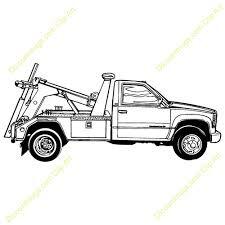 Call Towing Van Nuys today to get your towing service by the pros! Check out the Google + page of Van Nuys Towing. Heavy Duty Towing Van Nuys – Why it is important? Why people should hire Towing Van Nuys?